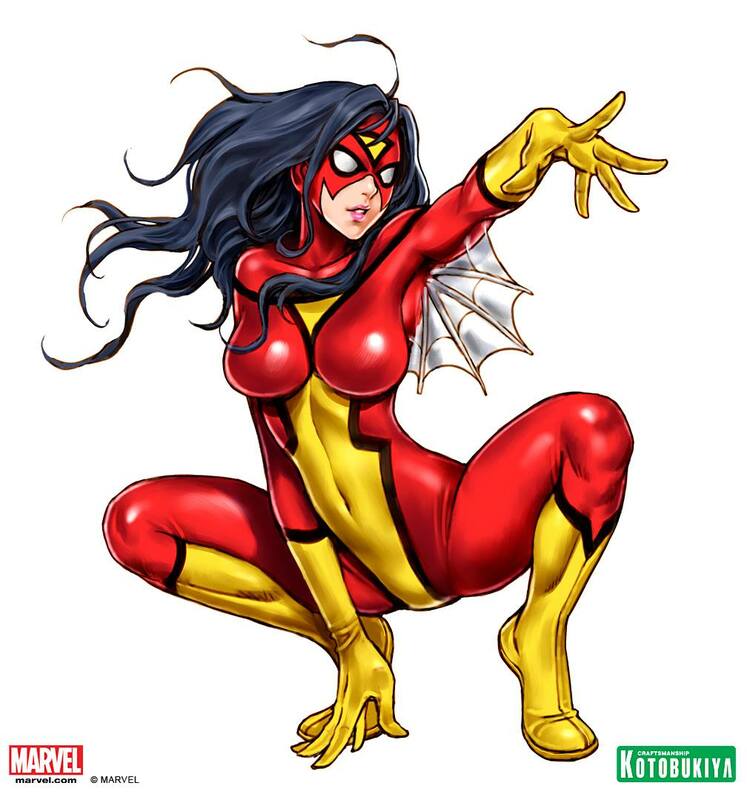 Jessica Drew is Spider Woman – the beautiful dark damsel of the Marvel Universe. 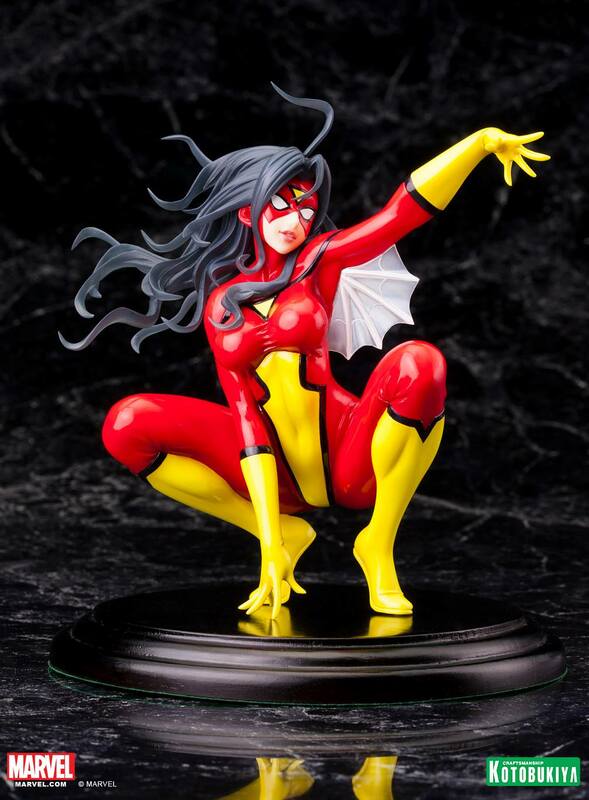 In her colorful, classic costume, Spider Woman can be displayed with or without her mask! She is crouched, ready for action with her dark raven hair blowing in the breeze! This Kotobukiya Marvel comics statue is 1/7 scale and made of pvc plastics.